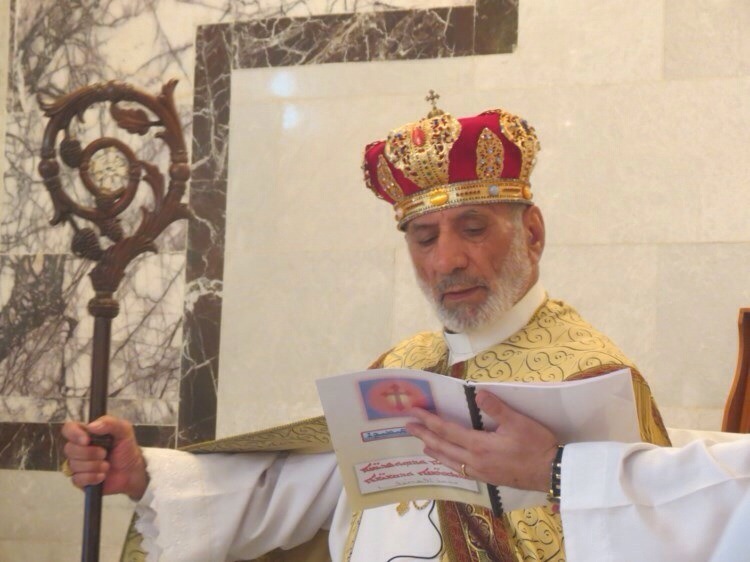 On the occasion of the Commemoration of Mar Awgin the Blessed and the first week of the Hallowing of the Church, His Beatitude Mar Gewargis Sliwa, Metropolitan of Iraq, Jordan and Russia has ordained Shimshon Warda Yaqo to the holy diaconate in the Church of Mar Odisho, Baghdad on 8 November 2013. 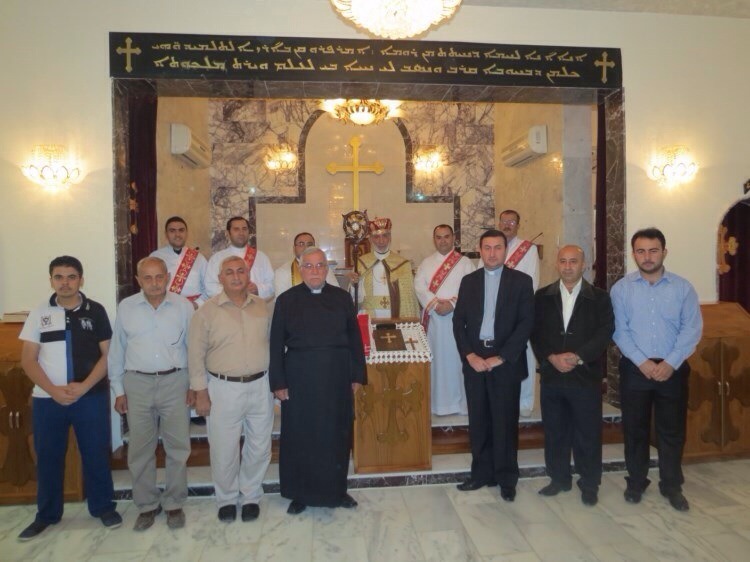 The service took place prior to the consecration of the Holy Qurbana. 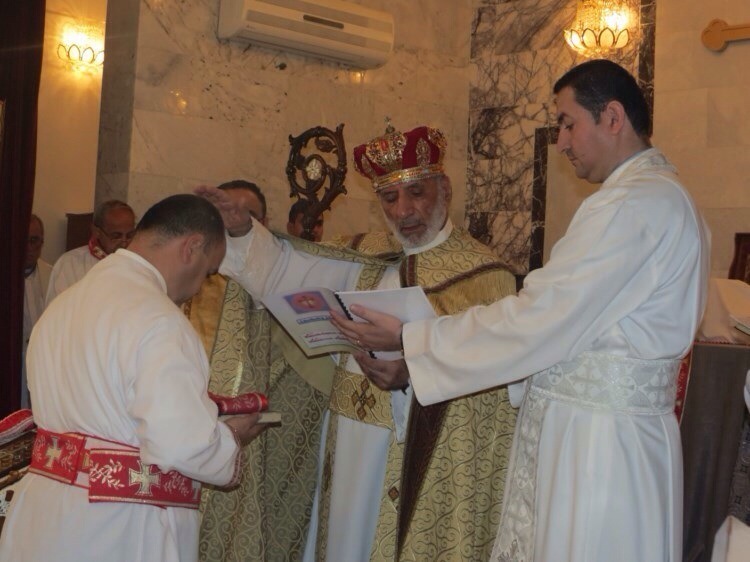 The newly-ordained deacon is to serve the Mission congregation of the Assyrian Church of the East in Damascus, Syria. 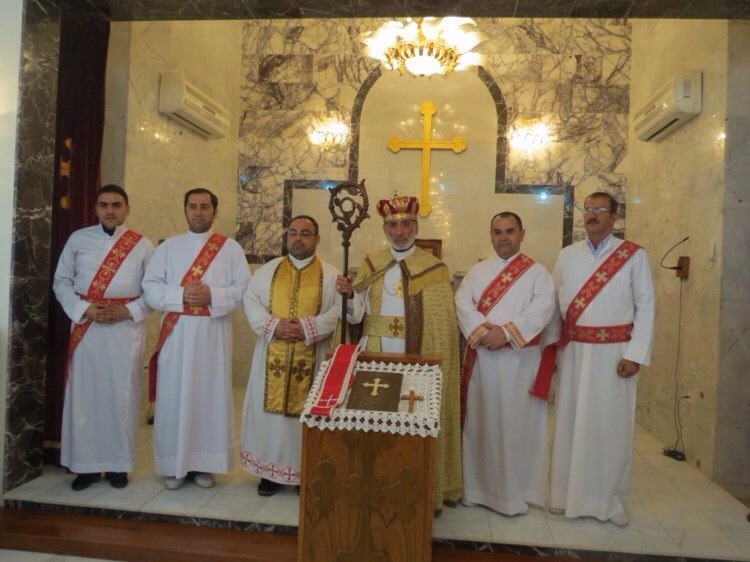 The Metropolitan was assisted in the service by Baghdad parish priests, Rev’d Fr Yosip Gewargis, Rev’d Fr Awgin Hurmizd and Rev’d Fr Shmoel Sh. Athneil. 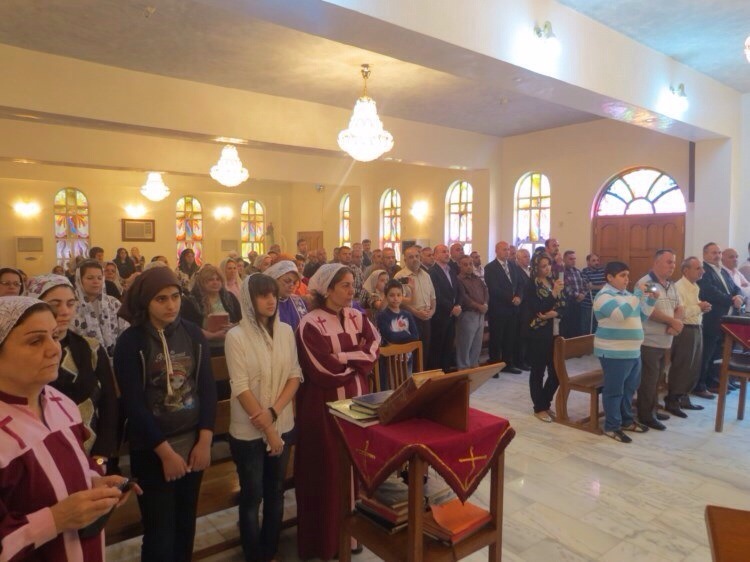 A large number of church deacons also participated in the presence of the church choir and faithful. 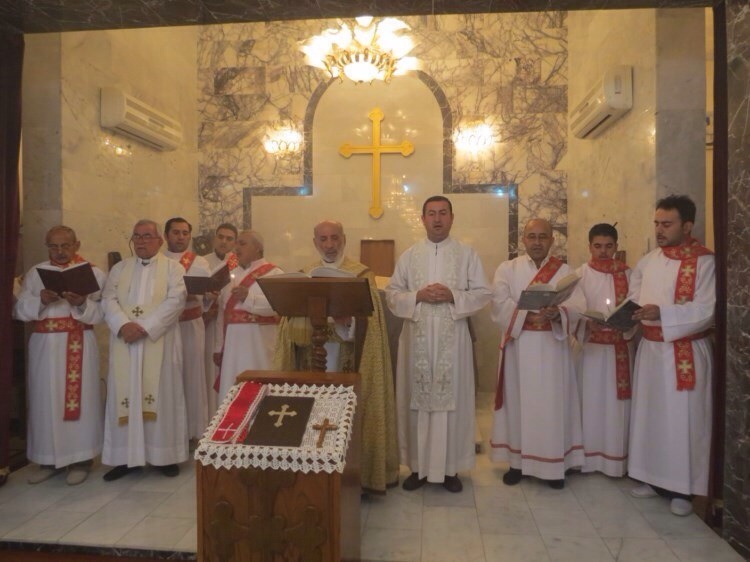 During his sermon, the Metropolitan discussed the theme of Jesus Christ’s sacrifice and ascension to the cross for the salvation of humankind. 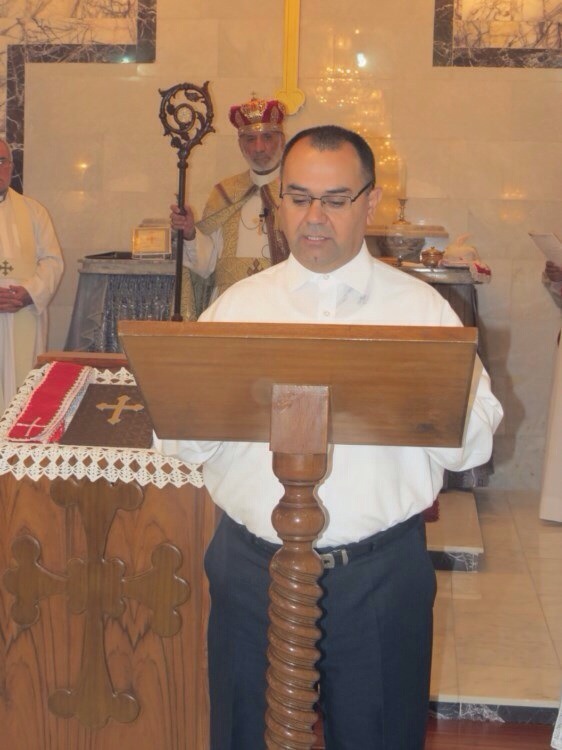 He went on to note that Mar Awgin, on whose commemoration day the service was held, is a model emulating the abandonment of early pleasure for the abundance found in Jesus Christ. 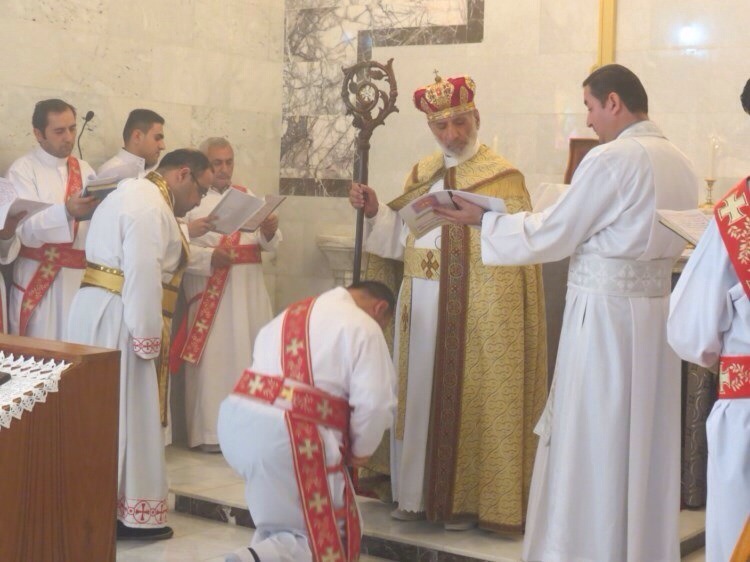 Following the service, the newly ordained deacon was congratulated by all the clergy and faithful present who prayed that Almighty God may grant him the wisdom, strength and ability to serve the Holy Church within the trying circumstances in the Middle East. 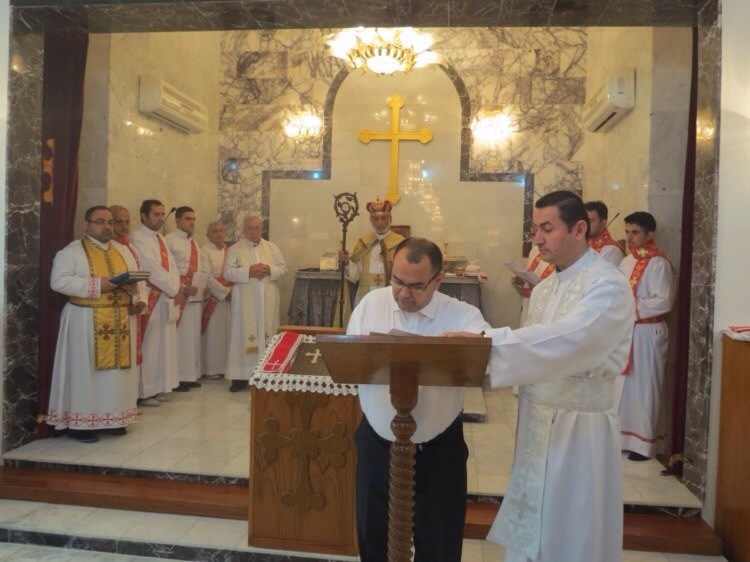 It is noteworthy that the occasion also marked the 12th anniversary of the ordination of Rev’d Fr Awgin Hurmizd to the priesthood and the 19th anniversary of the ordination of Deacon Albert Hawel to the diaconate.